The plantar fascia consists of a band of tough fibres running across the sole of your foot from the heel to the base of your toes. Plantar fasciitis pain is usually located in the middle of the heel (but it could be felt on the outside too) and is linked to a tight Achilles. When the Achilles tendon is really tight or injured, referred pain can be experienced not only in the plantar fascia tendon, but also in the calf muscle, and even the muscles running from the mid to lower back. Sufferers of plantar fasciitis often describe a feeling akin to stepping their heel onto a stone. Increased pain during the first steps in the morning is also characteristic of this condition. This pain eases after the fascia and surroundings muscles begin to stretch and relax. Overuse of the plantar fascia. If you do lots of walking, running, standing when you are not used to it. Overpronation of the feet is also a major contributory factor. Incorrect shoes can place extra pressure on the plantar fascia and aggravate an existing condition. If your shoes do not offer sufficient support and cushioning the plantar fascia can be overworked. Worn out shoes or shoes with poor cushioning. 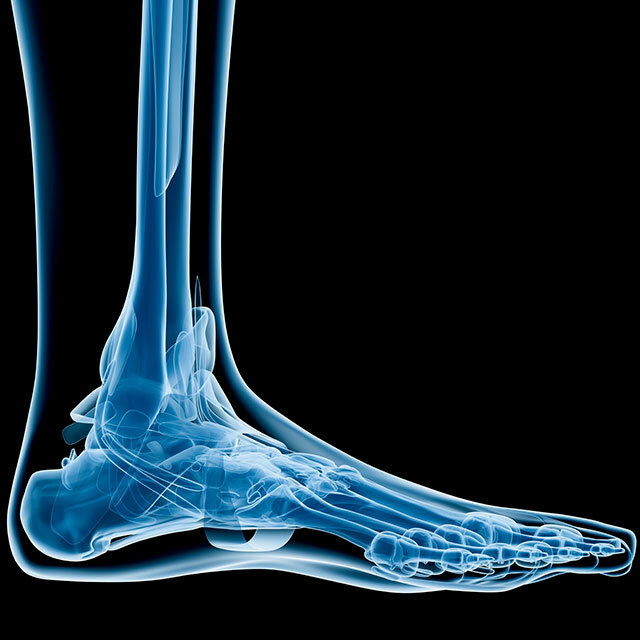 Being overweight increases the load through the foot and can exacerbate plantar fascia trauma. Wear shoes with cushioned heels and a support if it is needed. Proper running shoes will provide the best cushioning and are suitable not only for runners but for walkers or people who stand a lot for their job. It is essential to be properly fitted for running shoes and to try them on before you buy them. Find out what foot type you are, how much support you need and what feels the most comfortable (cushioning, support, shape, width, size¦). Don't buy them on the internet unless you know exactly what you need, as you can get it completely wrong! 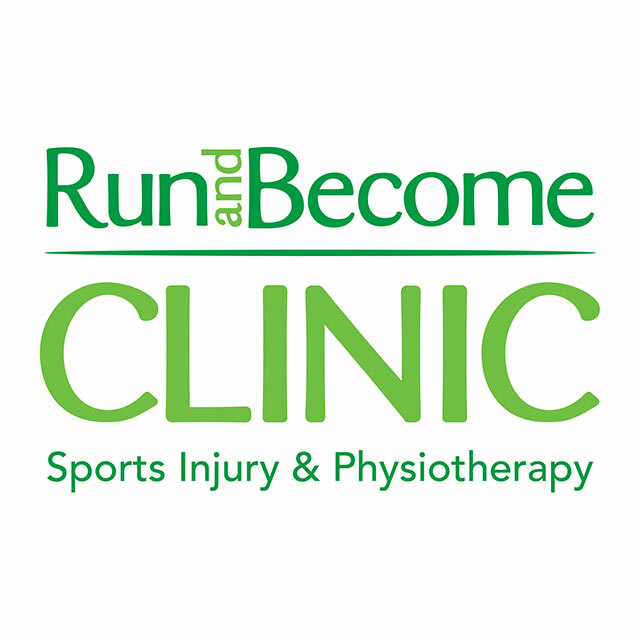 We offer Natural Gait Analysis and a wide range of shoes for all foot types and different levels of cushioning. Avoid old or worn shoes that may not give good cushioning for your heel. Cut back on activities that make your foot hurt. Try not to over work the foot. Massage can help to relieve pain and encourage tendons to relax. Massage with the Trigger Point Massage Ball is a proven technique to promote healing and reduce the pain. Roll the ball back and forth under the arch of your foot with particular focus on the tender area under your heel. This can be performed for five minutes, a couple of times a day, or more frequently if tolerable. Some people may use a tennis ball, but as it is harder than the TP Massage Ball, it can be extra painful. Step stretch Stand on a step, legs straight, with the balls of your feet positioned on the back edge. Hold onto a bannister, or something secure, so you can lean your body slightly back, this will give you a more effective stretch, and remember to keep you bum tucked in! You want a straight line through your body from ear to shoulder to hip to heel. Let your heels drop down, feeling the stretch in your Achilles tendon. Repeat with your legs slightly bent to work the gastrocnemius and soleus muscles. Gastrocnemius stretch Stand facing a wall, then put your hands against it at eye level. Move one leg back with your heel on the floor and foot turned slightly inwards. Keep that leg straight as you slowly lean forward from the hips. Repeat with the other leg. Soleus stretch Repeat the gastrocnemius stretch, but this time bend the back leg as well as the front one, keeping the back heel pressed to the floor. This stretches the smaller soleus muscle underneath the bulkier gastrocnemiums. Plantar fascia stretch Sit cross legged on the floor, then pull one knee up to the foot is flat on the floor. Take your big toe and gently pull it up towards the ceiling, you can then massage the plantar fascia. Make sure you massage towards the heel to avoid aggravating the fibres. 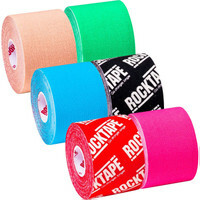 Taping the injured foot has become a popular option for the reduction of pain in the early stages, especially if you cannot take sufficient rest. When you have to walk or run, as it helps support the tendons. The taping techniques are not too difficult to apply. A frozen pack wrapped in a tea towel and held to your foot for 15-20 minutes may also help to relieve pain.